In a not-too-positive development–from the perspectives of the migrants to Australia, especially the ones keen to pocket some more points in the General Points Test for his skilled partner’s age–reportedly, the most recent set of amendments, started to the Skilled Permanent Visas, has cut down the maximum age of a trained partner to 45 for which a candidate may claim some extra points in the said points test. Previously, aspirants for the General Skilled Visas–whose spouses and de facto partners were below than 50 old, were in a position to claim extra 5 points. As per the available information, come July 1, 2018, and the amendment made public recently, will become applicable to the Skilled Independent Visas Subcategory 189 and the Subcategory 190 and Skilled Regional Subcategory 489. During the course of recent years, aspirants from India have, reportedly, surfaced as the biggest migrant group in the Kangaroo Land to get 189 and 190 Visas (both permanent), even as the Subcategory 489 Visa is a temporary visa with a corridor to the Australia Permanent Residency (PR). Though in a change made to the Migration Legislation during the year gone by, in the month of July to be precise, the maximum age for which a visa candidate could claim points was cut down to under 45 years from under 50 years at the ‘time of invitation’, the maximum age of the trained partners for claiming extra points wasn’t, reportedly, cut down then. In a descriptive report, the Australian Department of Home Affairs (DHA) reportedly proclaimed that the object of the change is to correct this “oversight”, to make the highest age for claiming points regular for the main aspirants and their trained spouses. Australian Economy Stand To Gain? As per the DHA, decreasing the highest age at which visa candidates and their partners may claim points for migration would prove useful for the Australian economy, as those migrants landing in the nation at an older age, have comparatively lower rates of labour force contribution. Quoting the findings of the Productivity Commission, the DHA, reportedly, went on to add that such migrants contribute to higher cost since they utilize the administration-supported healthcare and support services. The DHA stated that in the backdrop of the conclusions of the Productivity Commission, it is apt to make some changes to offer that Skilled Migration Visa aspirants may only claim points for having a skilled partner in case their partner is below 45 years old. Much surprisingly, the move has been justified by some people and those in the know. As per a migration agent of the Indian origin from Oz, the aged migrants find it rather tough to find meaningful work in the country. She added that migrants, moving in at that stage of their lives, find it very tough to get good jobs and so bringing the maximum age of the spouse, for claiming points, in sync with the main candidate was the only rational thing to do. For the permanent Australian skilled visa, a candidate requires close-to 70 with a view to making the cut. Aspirant’s age, education, job experience, and English skills are the key factors based on which these points principally come. Those from 26 to 32 receive the highest points for age. In case a person has a nomination from a state, he pockets some more points. 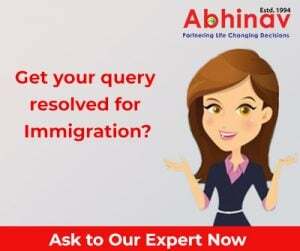 Sharing her thoughts on the subject, another migration agent of the Indian origin, reportedly, said that the chances of a 45-plus person getting a permanent visa are extremely sporadic. She further said that such candidates have to get the highest number of points in English, job experience, and education, and also receive extra points with a view to make the grade. However, few aspirants are that good. For the candidates on the higher age side, every extra point proves decisive and makes an important difference to their immigration prospects even as it’s as in the view of all this it is as good as closing the door on older visa candidates, she went on conclude.